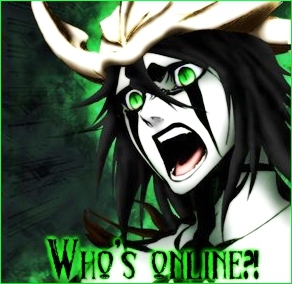 Welcome to the Bleach Society, this is a fairly new Bleach RP forum which means many spots are open. If you're new to the site check out the rules and after that start on your character! Happy Posting! This is where all the rules are posted. This is where the staff will post news about the site. Here is the place where you may ask any questions you may have. Be it about characters, the site etc. Also, you may make requests here for things such as rank up's, updates and etc. This is where members post their character applications. Sereitei is the home of The Thirteen Court Guard Squads, The Stealth Force, The Kido Corps, Central 46, and the four great noble families. It is surrounded on all sides by a gigantic gate made of Seki Seki rock, which blocks out all traces of reiatsu from the sky, land, and even underground, making it next to impossible for intruders to make it in to the Sereitei. Outside of the Seireitei is the Rukongai. The Rukongai is the largest portion of Soul Society and the most populated. It is divided into 320 districts, each numbered in descending order on how far they are from the center this results in the higher-numerated districts decaying into slums. Many of the Shinigami come from here even though the nobles usually create the captains. This is the White Desert, home to hollows, adjuchas, and arrancar alike. This desert surrounds Las Noches and is easily 50% of the entirety of Hueco Mundo. The home of the Arrancar and the Espada, surrounded by the White Desert. The weak should avoid treading here, they are sure to be killed. The Forest of Menos is where many Menos Grande reside, it is also home to several Adjuchas. The Valley of Screams is a dimension that forms in between the Human World and the Soul Society, stemmed from the Dangai Precipice World. It can only be accessed from the Human World by members of The Covenant. This is a town in the human world, due to an imbalance in spirit particles here, some people develop special powers. A town in the Human World. This is where people post casually. Relax and just chat about whatever comes to mind. Here is the place where you, the members, may suggest things for the site. And we, the staff, will listen. This is the place where you may Train, Spar, Interact and battle with any other person on the forum. This section is In Character but here when you battle, if you die you won't really "die".